Honey has long been used by women’s in their day-to-day life. They have used honey for great health, life and especially as a beauty agent. Beauty with honey is no stranger to a woman as honey when combined with other ingredients such as yogurt, lemon, and oatmeal always helps blow away the bad effects of environment and climate that affects the skin adversely. Honey secretes hydrogen peroxide that has antibacterial function. The combination of hydrogen peroxide and antibacterial agents is effective for removing skin infections, thus significantly reducing acne. Honey contains antioxidants that work to keep your skin youthful and healthy always. Honey wax further keeps the skin soft, smooth and brighter. Using honey helps you regain smooth skin inherent, even if the acne has made it inflamed and ugly. In addition, honey also contains glucose, natural fructose, and alpha-hydroxy acids that come with exfoliating effect on the skin, regenerating it to make the skin more bright and fresh. Another function of the honey is to increase relative humidity along with having an effective anti-aging effect on the skin. Despite washing the face after applying the facial honey mask, small amount of honey essence remains on the pores. This is a great way to help keep the skin hydrated and clean natural pores. Using Honey to treat acne is like? How: Combine the above stated two materials into a small bowl. Apply the mixture gently on clean face, massage in circular motions on the skin and rub gently for 1 minute. Keep it on the face for about 10-15 minutes and then rinse off with warm water to clean the mask. Finally, rinse with cold water to tighten the pores. Repeat this procedure 3 times/week and you will see superior performance from this formula. Ingredients: 1 tablespoon of raw honey, 1 teaspoon of oatmeal. How: Wash your face thoroughly with warm water, and apply the mixture made from 1 tablespoon honey and oatmeal. Rub it on the face gently in circular motions and leave it on for 10 minutes. Later wash it off with cold water and pat dry. Ingredients: 1 tablespoon of raw honey, 1/2 teaspoon lemon juice (3-5 drops). How: Mix the above-stated ingredients in a small bowl. Use your fingertips to apply this mask on your face. Give a relaxing massage to your face for 10 minutes to penetrate the mask into the skin and finally, rinse with warm water. 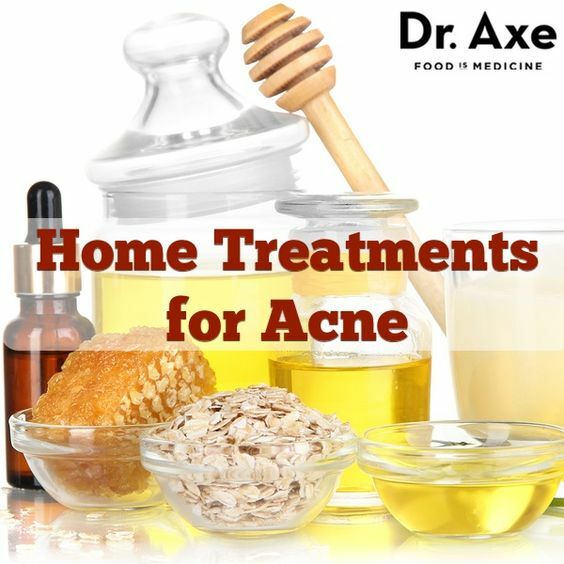 One of the best acne treatments with honey and lemon as it lighten the skin and fade acne scars at a glance. Ingredients: 1 tablespoon of raw honey, 1/4 avocado. How: Make a puree with honey & avocado and mix the two into a homogenous mixture. Apply it onto a clean face and leave it on for 10-15 minutes. When the mask dries, remove the mask with warm water, and rinse your face well with cold water. How: Mix honey and yogurt into a smooth mixture. Apply the mixture on your face and wait for it to dry. Rinse the mask with warm water followed by a rinse with cold water. Also, drink 1 glass of warm lemon water mixed with honey in the morning everyday as it will purify and detoxify the body and skin, contributing to essential nutrients that help the skin stay healthy & beautiful, right from inside. By religiously following the 5 acne treatments with your honey that we just shared above, you will be successful in treating acne, and have a beautiful and smooth skin.